First you will need to unpack the archive, (windows:it’s not enough, just to double-click and enter the archive – it must be unpacked). To unpack, right click the archive and select Mac:Open With->Archive Utility or PC:Extract Now double-click the “Cacidi Installer” on Mac and right click on the archive and choose Run as Administrator on the PC. The the installer window is shown. InDesign will lock the files you are about to install, so if you already has installed a previous version, they will not be over written by the new ones, exit and quit InDesign and the files can be over written. If you for some reason what to create a manual installation, click the “Manual Installation..” button and a describtion is shown, see below for info. A standard installation guide you to the five steps of installation Introduction, Read Me, License, Install and Finish up. Click the “Continue button” to move to Read Me. The Read Me explain how the installation in done. A click on the “Continue” let you go one step further, to the License. You will have to agree with the terms of the license before proceeding, click the Agree button, or the process is stopped. When clicking the Install button, the installer will check for files already existing on the computer, and prompt you, it the files should be over written, with the ones from the installer archive, or you whats to keep your original files. 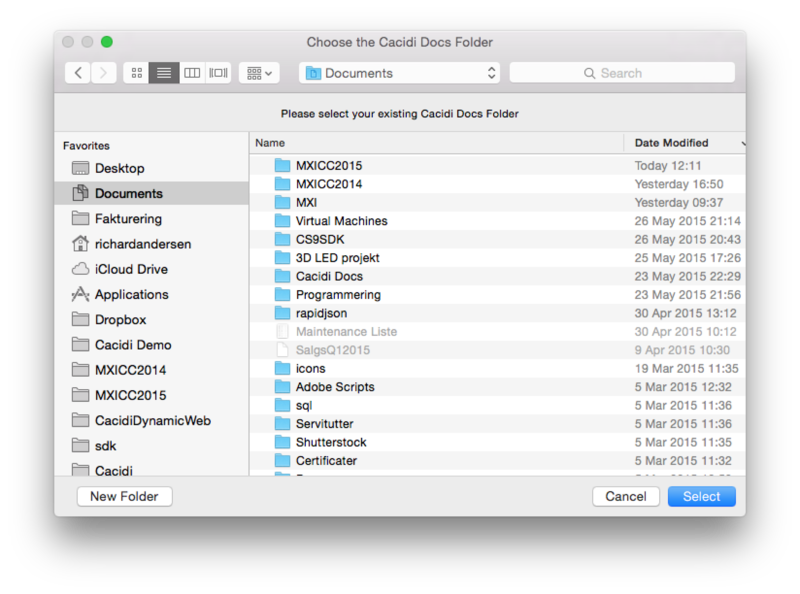 When prompted for a location of the “Cacidi Docs”, choose the place you what for the demo/test environment. Ready to start the joy! If you select the “Manual Installation..” in the first part of the process a short description where to install what is described. 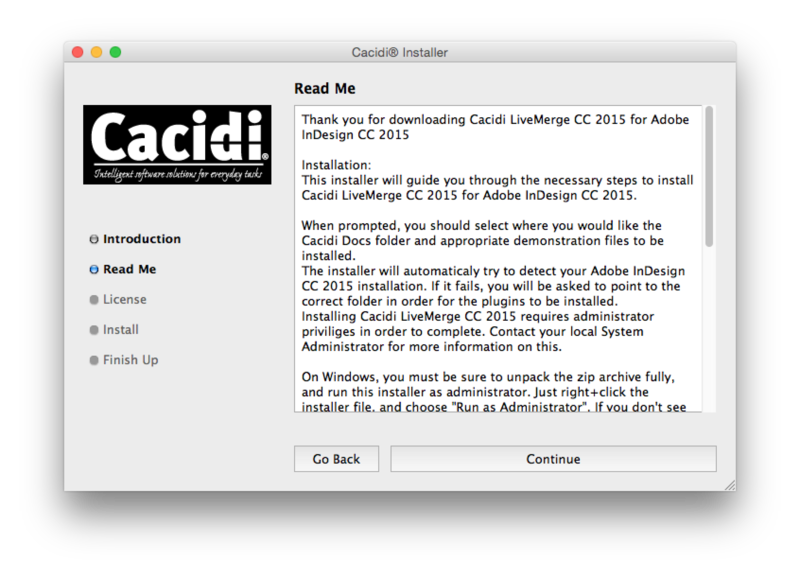 After you have downloaded the archive double-click to launch the Adobe Extension Manager, if the software is not available download and install it using the Adobe Cloud manager. You will be guided to the installation, and soon be up and running. For Windows you will need to restart the computer after installation because a library used for the activation process requires it.